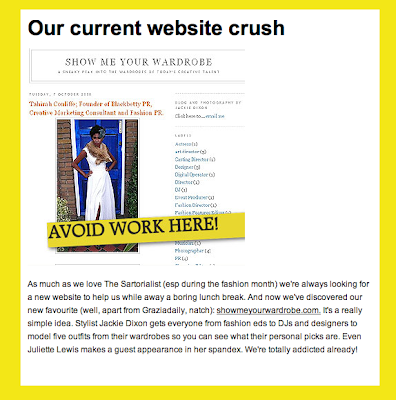 SHOW ME YOUR WARDROBE.COM: We're on GRAZIAdaily.co.uk!!!!! This site and its contents are under the protected copyright © Jackie Dixon, 2008. All rights are reserved, no images may be reproduced without written permission.